Winter has arrived. The usual up and down of the thermometer in the south, days and days of rain, leafless trees and dormant lawns are pretty normal as we usher in the new year. As I reflect on 2018, I am overcome with a sense of joy and gratefulness. One warm and beautiful August evening was the setting of a most memorable occasion. My family was invited to the home of Nate and Ginny Early to celebrate the launch of The Flower Podcast. What a great time of fellowship and community as Ginny of Enemies of the Average and Mary Wynn of Amy Osaba Designs hosted this wonderful evening of friends and flowers. These are the times that build community and forever feed the soul. The vibrant colors and delicious aromas filled the evening air as we gathered around this beautiful table of family and friends. Each person brought amazingly delicious food. There was no doubt, each serving vessel was prepared with love. Personalized cookies brought by the amazing Mary Wynn!!! It may be a cookie, but I didn’t know how much a cookie could mean to me. Of course, no dinner party celebrating the launch of The Flower Podcast would be complete without gorgeous flowers! Below is Ginny Early on the left and Mary Wynn on the top right and Sheridan Weaver bottom right. I have had the pleasure of knowing these ladies and being a part of their flower journey. 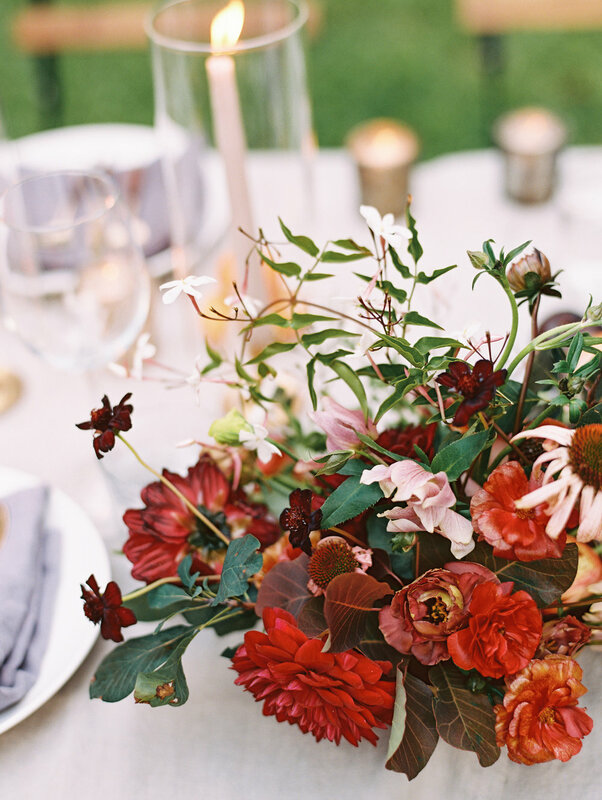 Each flower carefully selected to grace the table setting of the evening. Sheridan and Mary were among the guests around the laughter filled table. Telling jokes, sharing “Nick” names, and remembering stories of times working together. A magical night filled with the clinking of glass. 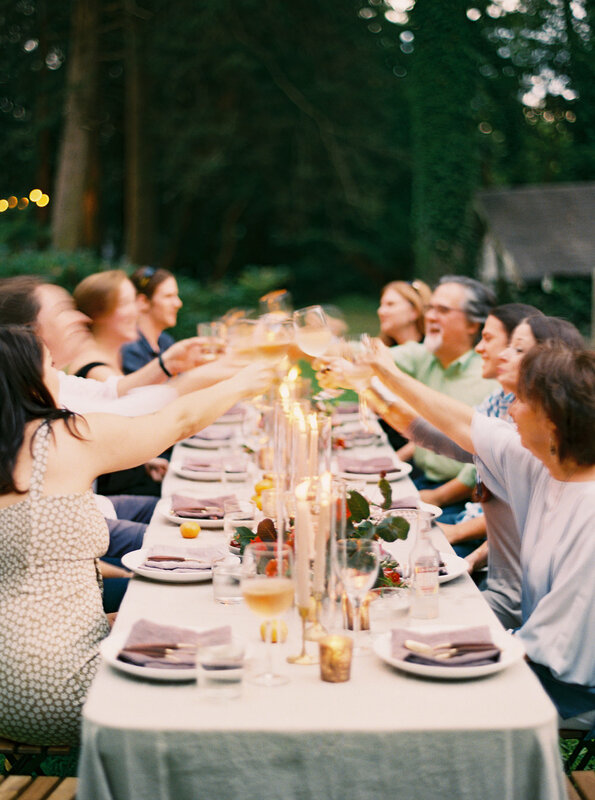 The love and admiration we all share for each other was heard in every toast. Fellowship at its best. I’ve never experienced an evening such as this. As these amazing people, one by one, shared not only what I meant to each of them, but what this podcast has become for each of them. What began as a dream for a podcast has become so much more. I’ve discovered another family of creatives that is thrilled to support and nurture each other through this journey of life and now my new project, The Flower Podcast. We had fun playing with this little kitty that kept making an appearance. Apparently a stray that was drawn by the warmth, food, and caring that permeated the evening. What a blessing to celebrate what was the early stages of launching the podcast. The care and support was overwhelmingly felt by these individuals I am proud to call my floral family. Most of my own family was there, my wife Catherine and two of our sons, David and Ryan. From the bottom of my heart, THANK YOU to Ginny Early and her husband Nate for opening your home so graciously. To Mary Wynn, the sincere cheerleader and cookie guru brings a smile wherever she goes. Sarah Ingram was there to generously capture every moment of this joyous occasion. Sheridan Weaver joined in the festivities and lent a hand in the preparations. Amy Osaba along with her charming mother were there to complete this enchanting gathering. I am honored to share life with all of you. I don’t know how to adequately express my gratitude to the people in this picture, but I hope I have given you a glimmer into my heart. With the launch of The Flower Podcast something else special happened. Something that should happen often among those of us that love flowers and use them to create beautiful memories for others; A Flower Family. Maybe we should find more times to gather as friends in this community and create memories for ourselves. This night was one of those nights, and one I won’t soon forget.